APPRAISAL – this term refers to the potential sale price range of a residential property as provided by a licensed real estate agent, or agents representative. VENDOR – the owner of a property. 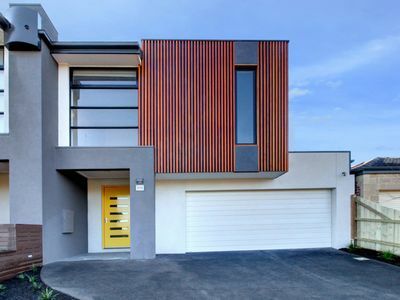 SECTION 32 – also known as a vendor’s statement a Section 32 is a statement given by a vendor to a potential purchaser who is interested in buying their property. 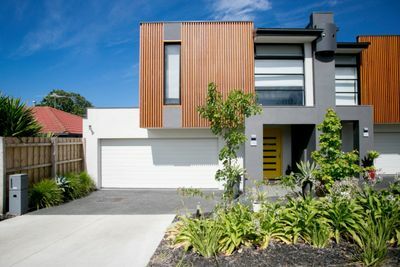 Section 32 of the Sale of Land Act (Vic) requires a vendor to provide certain information to a purchaser before the purchaser signs the Contract of Sale. BUYER’S AGENT – the buyer’s agent is paid by the buyer to bid and/or negotiate on their behalf with a vendor or the real estate agent. Buyer’s agents should be licensed and certified to act as a buyer’s agent. MARKET VALUE – the price at which a seller is happy to sell and a buyer is willing to pay. Establishing the market value is the objective of an appraisal. CONTRACT OF SALE – an agreement in writing setting out the terms and conditions relating to the sale or purchase of a property. It is the purchase document signed at auction. CONVEYANCING – the legal process of transferring ownership of real estate. CHATTELS – refer to items that a vendor can either include in the sale of their property or take with them when they move. Common examples of chattels include furniture, appliances and machinery. EASEMENT – a right to use the land of another (not involving the taking of any part of the natural produce of that land, or any part of its soil) or a right to prevent the owner of that land from using that land in a particular manner. Most commonly used where Government authorities have the right to run, for example, electrical mains or drainage through private property. Some form of compensation may be payable. FIXTURES – those parts of a property affixed to structures or land, usually in such a way that they cannot be moved without damage to themselves or the property. Fixtures are usually included in a sale and commonly include items such as carpets and awnings. LENDER MORTGAGE INSURANCE (LMI) – a premium that borrowers pay to protect their lender against potential default on their home loan. RESERVE PRICE – the minimum price that the seller (vendor) wants for a property at auction. The reserve is typically set by the vendor the day of, or the day before, the auction. There is no requirement for the vendor to set a particular price or have regard to what similar properties have sold for. It is simply the price that they would like to receive for their property. TITLE DEED – registration showing the ownership of property. 5. The purchaser gives the vendor a signed notice. OWNERS’ CORPORATION – a relatively new term in Victoria and replaces the term “body corporate”. An owners’ corporation commonly exists in units and apartments when there is shared property, such as a driveway, stairs or car park. It can have as few as two members and there are rules governing how owners’ corporations operate and their roles. MEDIAN PRICE – the middle price in a series of sales where half the sales are of lower value and half are of a higher value. For example, if 15 sales are recorded in a suburb and arranged in order from lowest to highest value, the eighth-placed is the median price. EQUITY – the amount of an asset actually owned. Equity is the difference between the market value of a property and the amount still owed on its mortgage. BUYER’S AGENT – the buyer’s agent is paid by the buyer to bid and/or negotiate on their behalf with a vendor or the real estate agent. Buyer’s agents should be licensed and certified to act as the buyer’s agent. VENDOR BID – occurs when an auctioneer or the vendor bids on the property during the course of an auction. It must be clearly announced and is normally a sign by the vendor or auctioneer that a higher amount needs to be offered to secure the property. NEGATIVE GEARING – where the return on an investment is not sufficient to cover the cost of the investment e.g. property maintenance and interest on the loan. MORTGAGE PROTECTION INSURANCE – different from lenders mortgage insurance, this covers borrower’s loan repayments in the event that they are not able to meet them e.g. through illness or redundancy. CONDITION REPORT – records the condition of the premises at the start of the tenancy. It is important that tenants and property managers fill out this report properly to avoid problems in the future. The property manager and the tenant each complete and sign their part of the report. RESIDENTIAL LEASE – is the contract between a tenant and landlord, which outlines the rules, regulations and terms of the living arrangement.